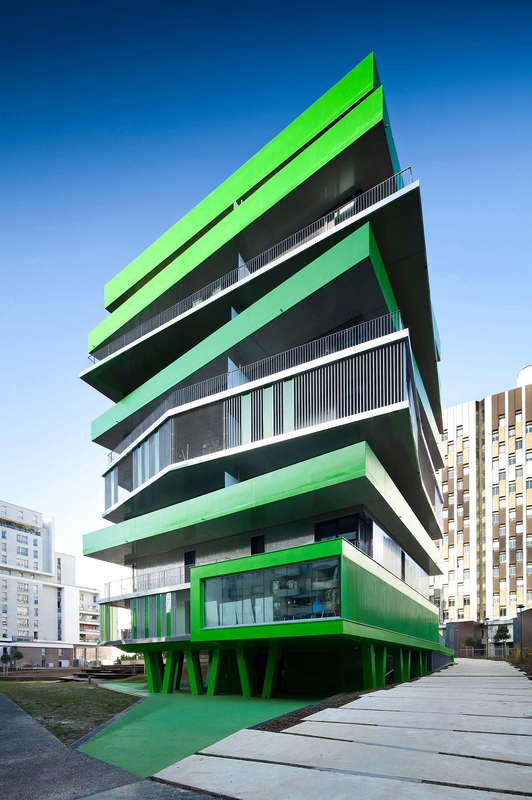 Modern Parisian Apartments by Hamonic+Masson. 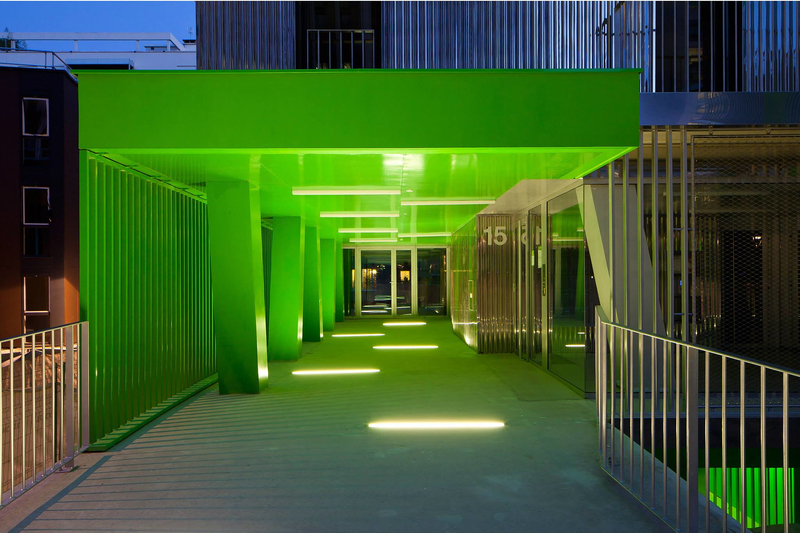 HomeBlogArchitectureModern Parisian Apartments by Hamonic+Masson Architects. 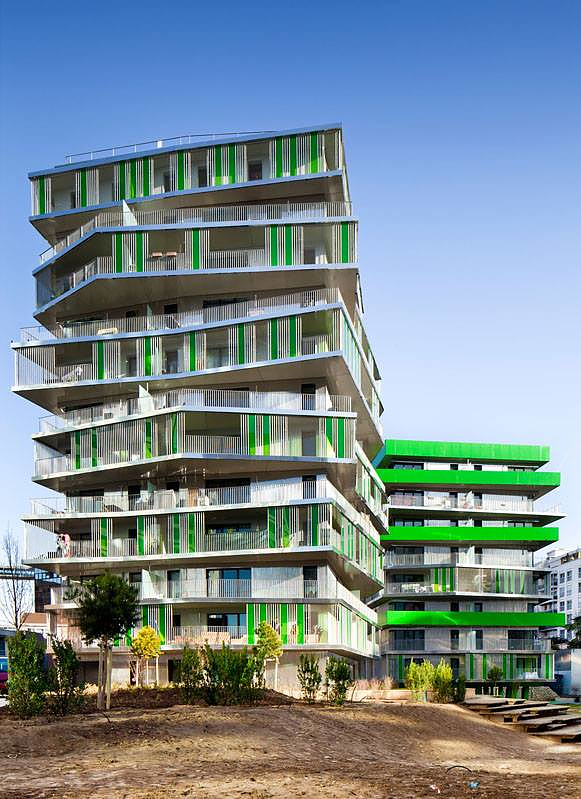 Parisian apartment block “62 Council Flats” by Hamonic+Masson Architects is a breath of fresh air as it approaches the concept of “living together” in an innovative way. Contemporary cities are crowded, congested and sometimes downright ugly. When people start saying a neighborhood has reached its “critical mass of ugliness,” it is probably a good idea to give it a facelift. 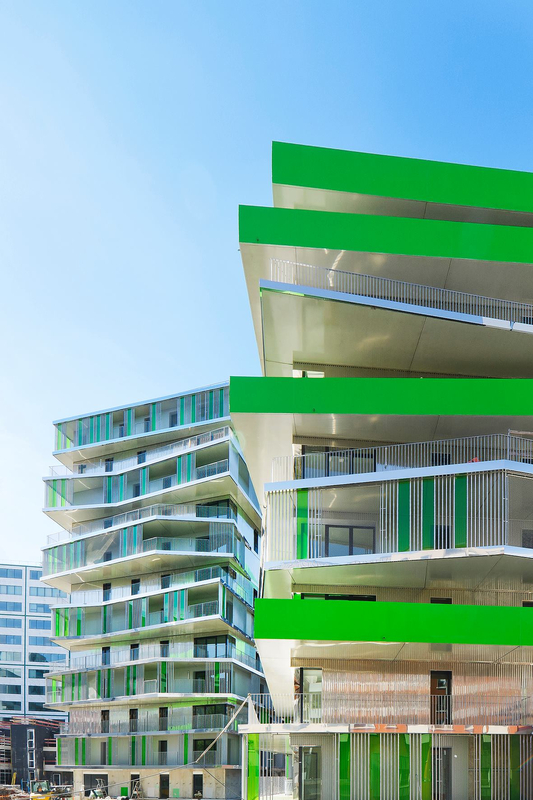 And that is exactly what architects Hamonic + Masson did for Villiot-Râpée in Paris with two separate blocks of terraced apartments near the Seine River. 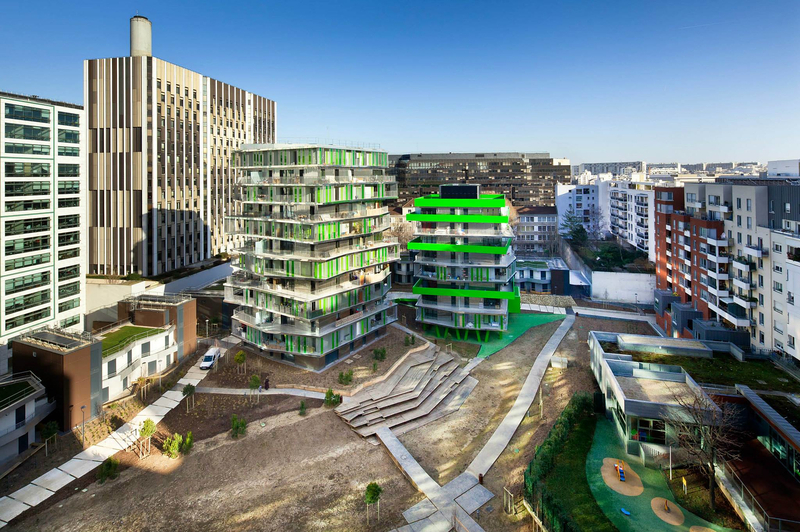 The project involves two blocks of flats, one of 11 storeys above the ground floor and the other of 8 storeys above ground floor. 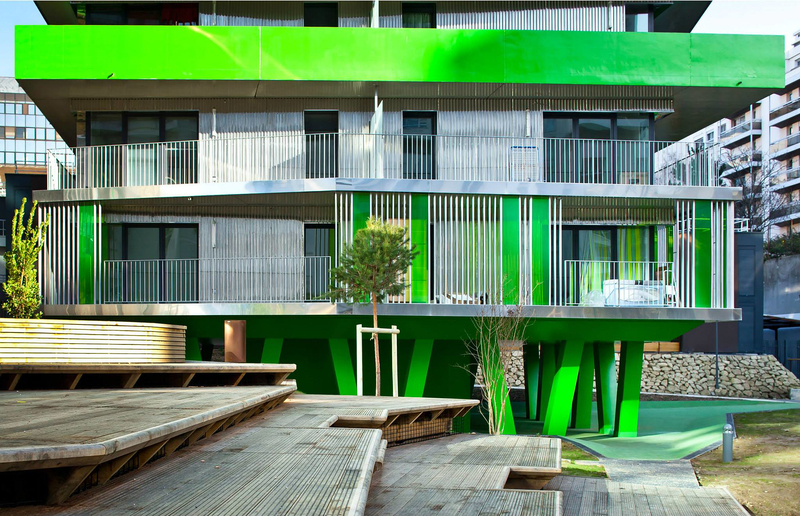 This modern and refreshingly original Parisian apartments embrace new concepts of communal living primarily based on generous outdoor spaces, both private (balconies) and communal (floor area), as well as on an extrapolation of the advantages of detached houses, which have now disappeared forever from urban Paris. 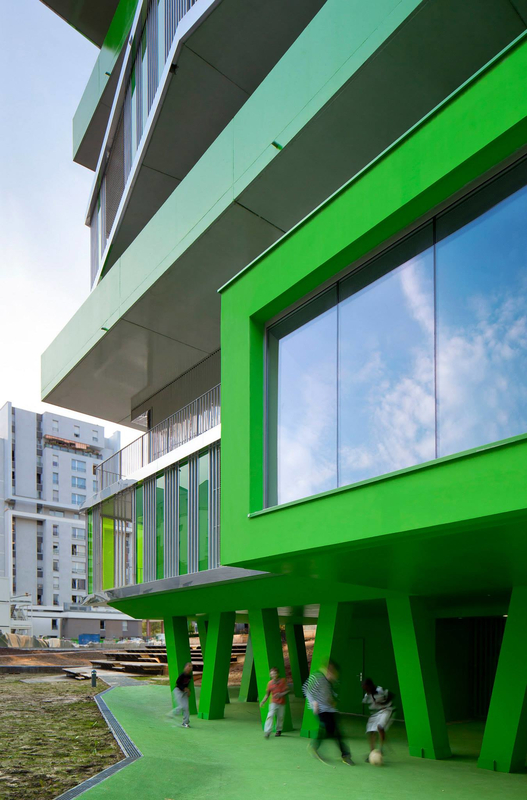 Covered in a striking combination of aluminum and colored glass in vibrant green color, the 62 council flats reflect a growing need among Parisians to be closer to nature while still taking advantage of their urban proximity. 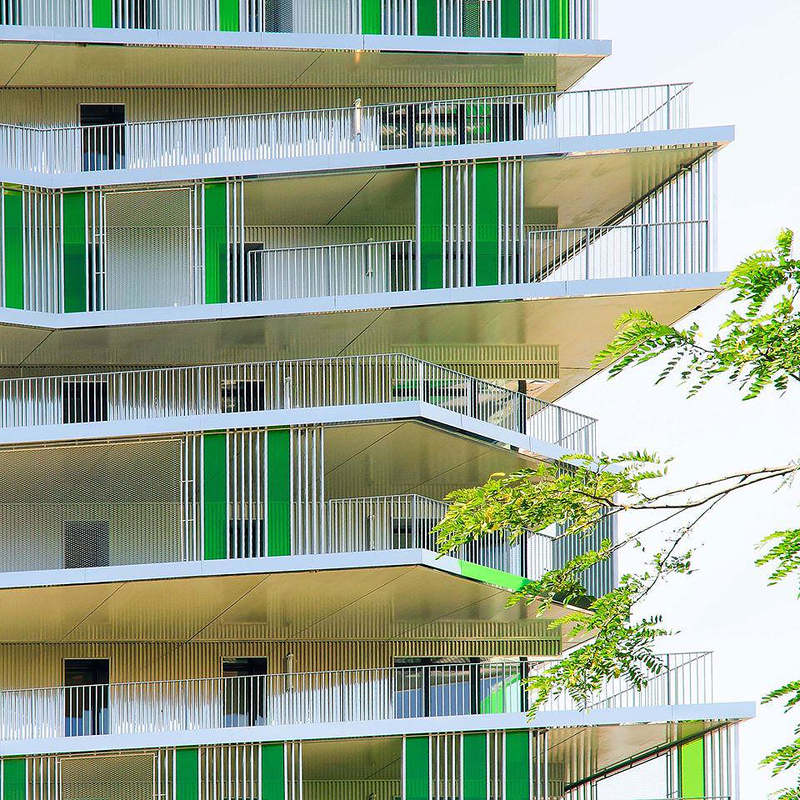 Wrapped in generous serpentine terraces, the apartments also do an excellent job of meeting the Paris Climate Plan’s stringent energy-efficiency requirements. In addition, apart from their discrete qualities, the two building blocks are connected together by a path and their relationship to the ground. A beautiful circular walkway, plants, trees and small garden complete this fresh approach on urban development, and help to help to remove the “ugly” of this clogged Parisian neighborhood.